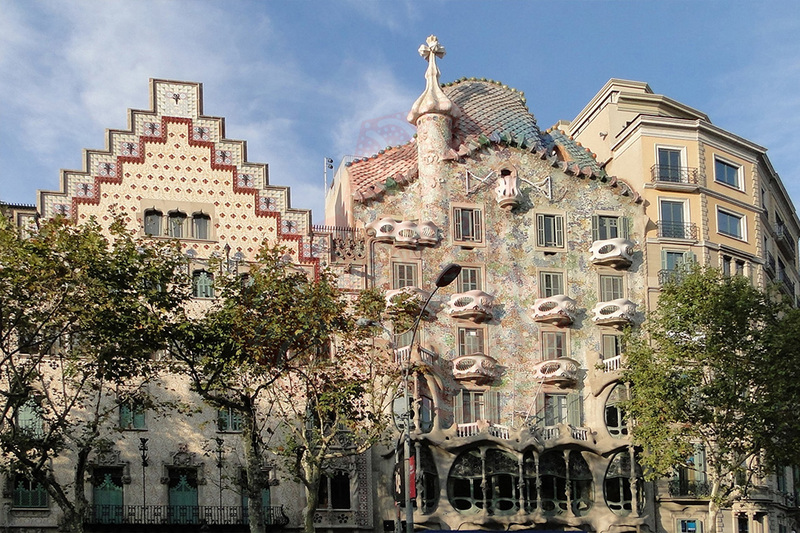 Use the form below to contact cruise Casa Batlló directly. 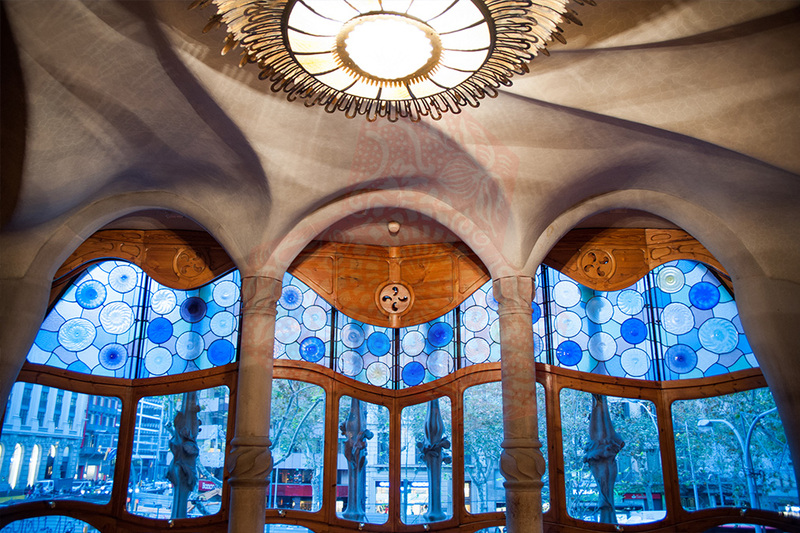 Casa Batlló is a renowned building located in the center of Barcelona and is one of Antoni Gaudí’s masterpieces. A remodel of a previously built house, it was redesigned in 1904 by Gaudí and has been refurbished several times after that. Gaudí’s assistants Domènec Sugrañes i Gras, Josep Canaleta and Joan Rubió also contributed to the renovation project. The local name for the building is Casa dels ossos (House of Bones), as it has a visceral, skeletal organic quality. 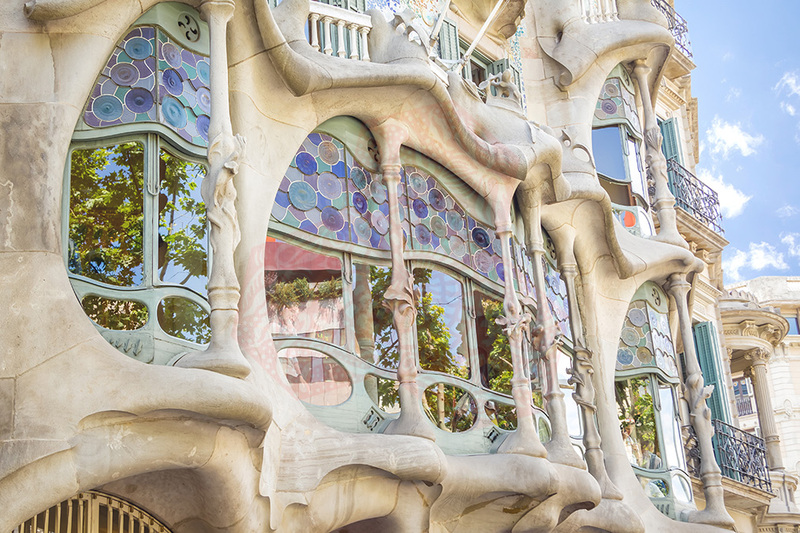 Like everything Gaudí designed, it is only identifiable as Modernisme or Art Nouveau in the broadest sense. The ground floor, in particular, has unusual tracery, irregular oval windows and flowing sculpted stone work. There are few straight lines, and much of thefaçade is decorated with a colorful mosaic made of broken ceramic tiles (trencadís). The roof is arched and was likened to the back of a dragon or dinosaur. 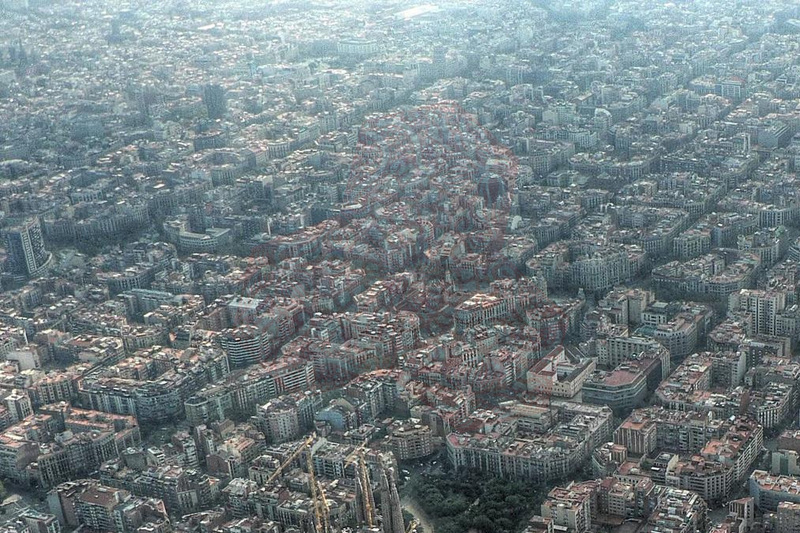 A common theory about the building is that the rounded feature to the left of centre, terminating at the top in a turret and cross, represents the lance of Saint George (patron saint of Catalonia, Gaudí’s home), which has been plunged into the back of the dragon. All those who love fantasy, theatricality and vitality cannot help but fall in love with this house. Casa Batlló is open to the world, and it offers the best modernist function rooms in Passeig de Gràcia, in the most elegant part of Barcelona, in the very heart of the city, with an area of more than 3,000 m² available to you for celebrating the greatest variety of events imaginable. The Noble Floor, the legendary Coach Houses and Coal Cellars, the restored Jujol room, and now, the magical Loft, the Roof Terrace and the fantastic Chimneys are all available for hire. 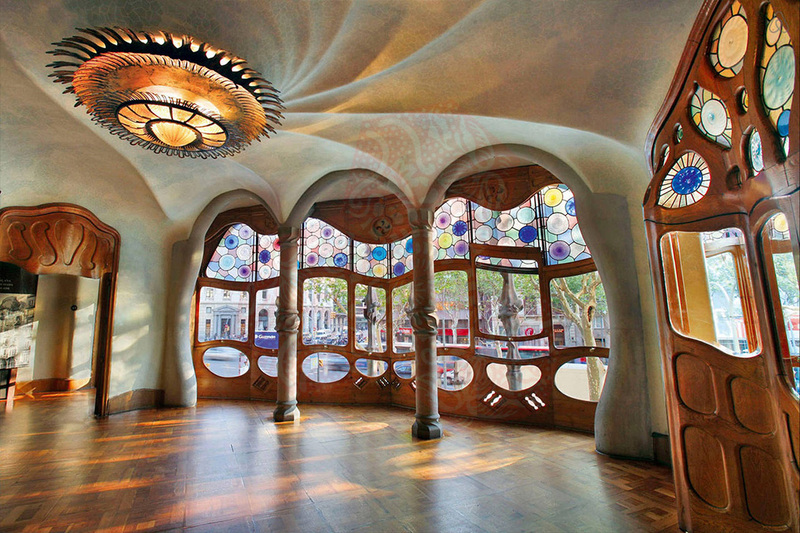 Casa Batlló allows the same diversity of use that Gaudí’s creative genius pictured. 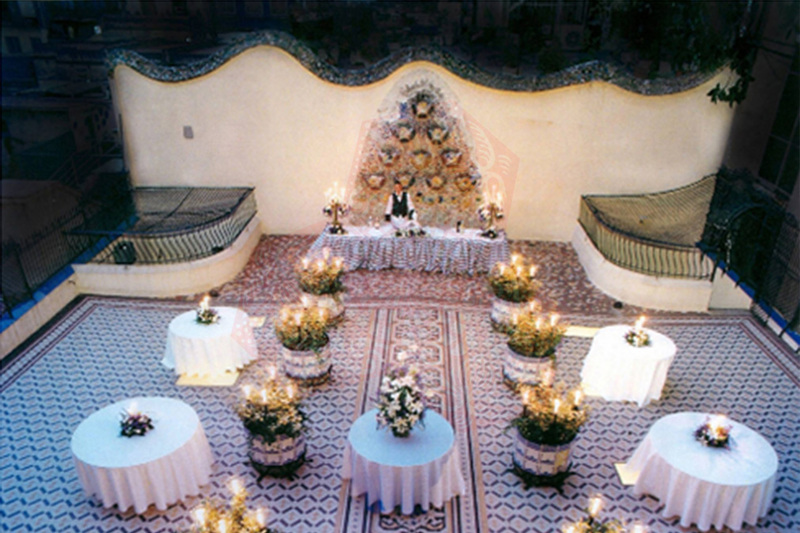 There are several outstanding function suites which can be arranged for hire in a unique and incomparable location which has been declared a UNESCO World Heritage Site. 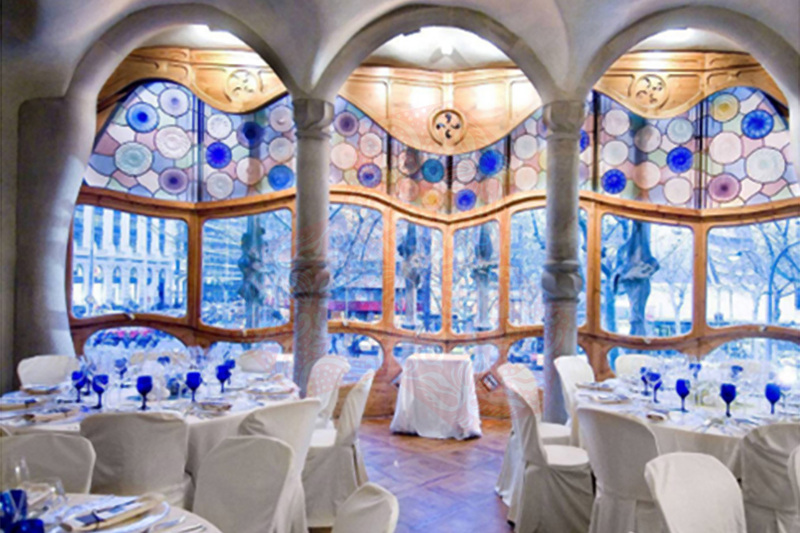 Casa Batlló has a total area of around 3,000 m² available for all types of events, and this is divided into beautiful modernist function rooms and exterior areas. Some of the suites are soundproofed and are therefore suitable for events which include music and dancing. All of the facilities are equipped with modern kitchen-offices, for the preparation of catering services. You can also hire exclusive use of the entire venue. The various different spaces are versatile and adaptable, whether for small get-togethers or large parties, meetings, presentations or shows involving up to 1,500 people.